Have you ever heard of herbal baby powder? A soothing, healing, smell good powder to dust little bums with and feel good because you KNOW what’s in it. This easy to make DIY baby powder will not only have you feeling good knowing what’s in it, but you can forever say goodbye to the store-bought chemical concoction stuff. You know those legal commercials offering to take action on your behalf of you if you have been diagnosed with cancer after having used baby powder? The fact that a baby powder is so closely linked with cancer is quite scary, right? And we have have been taught that’s what we should be putting on our babies for generations!! My kids have all been different in regard to reactions and what works best for their little baby bums. My oldest daughter as a baby always did better with diaper rashes with a dusting of baby powder, and my boys a diaper rash cream. After learning what cancer causing thing baby powder with talc is, I felt so guilty. And yes there are many healthy options on the shelf like Burt’s Bee’s baby powder, however, in small town rural America those better options are not around and the junk kinds are. Luckily mother nature has a cure, and it’s easy to make! Many people of era’s past used cornstarch instead of baby powder. However, with corn being one of the highest chemically sprayed and genetically modified crops I always use caution when thinking about any corn-based products. On the other hand, many herbal supplements can be found that have no chance of genetic tampering (there is simply no financial motivation to genetically modify things like arrowroot). Makings these herbal and root items much more trustworthy, and can often be easily found organic and in bulk. 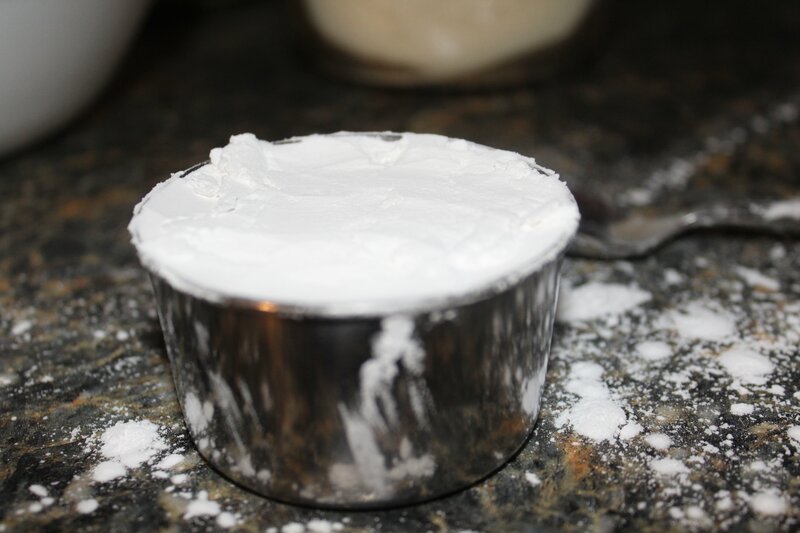 Making a healthy baby powder is super easy with only two roots. Arrowroot powder- A healthy alternative to starches in cooking. Can be used to easily replace thickeners and other starches, like cornstarch. It also makes a wonderful alternative to keeping moisture out and bottoms dry. I get mine from here (which is where I do most of my grocery shopping)and I buy it in bulk shop once a month and say a ton! Marshmallow Root powder- the plant that started all that we now know as marshmallows. Though they hardly resemble anything like the early editions. Marshmallows were once a concoction cocked up from the juices of the root and sweetened and given to those with coughs and digestive issues. Real marshmallow is a soothing plant with a high mucilage content. This makes it wonderful for treating all sorts of inflammation, to include irritation on tiny baby bums! I love adding essential oils, lavender and chamomile are a great choice. Much like in other baby DIY’s like the cloth diaper wipe solution, lavender and chamomile are helpful healing and calming additions on their own, and make your baby smell oh so lovely! mix that all together in a bowl, a whisk works well for this. And voila, just like that you have a healthy, DIY herbal baby power! Once it’s mixed transfer it to your recycled spice bottle (or whatever else you plan to use). Store the extra. 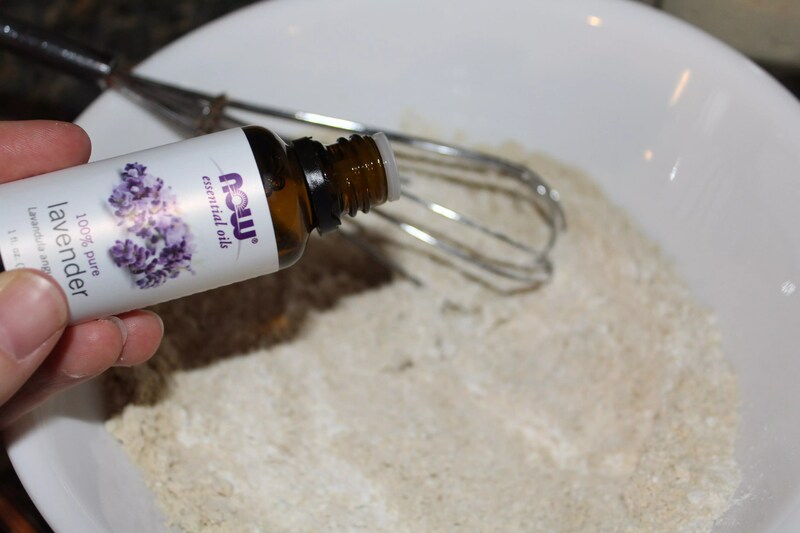 A healthy homemade herbal baby powder. Once mixed transfer to your upcycled spice bottle, or any other glass bottle with a sprinkle top. Store the extra. P.S. 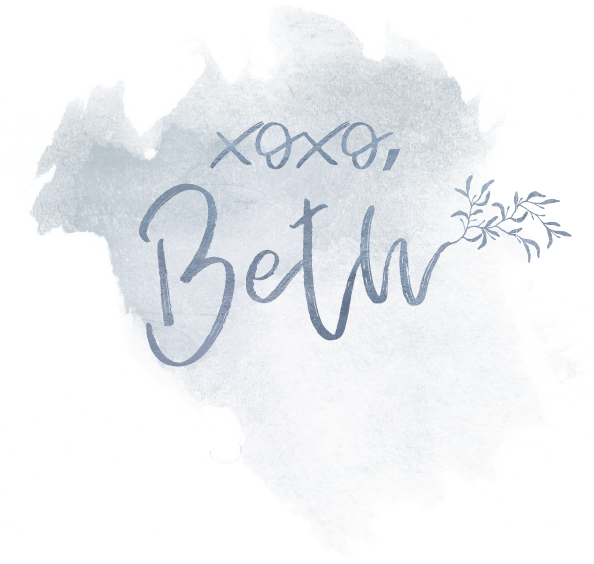 If you like the thought of a healthy homemade baby powder, subscribe to our newsletter and find more family-friendly goodies right in your inbox!